Tamura Lomax, Darnell Moore and Heather Talley will participate in the discussion “The Feminist Wire — It’s Not Slacktivism: Innovating Intersectional Feminist Activism in the Age of #BlackLivesMatter” at 7 p.m., Tuesday, March 29, in the Cone University Center, McKnight Hall. 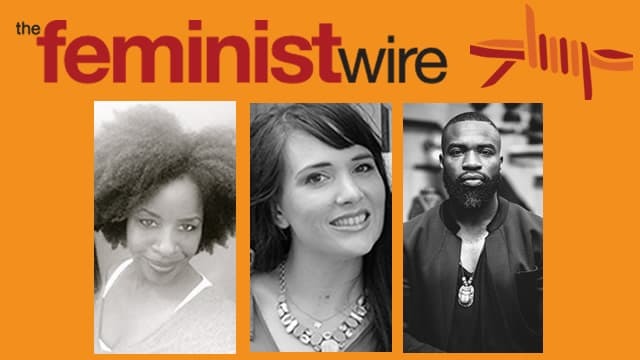 Founded in 2010, “The Feminist Wire,” according to its website, provides socio-political and cultural critique of anti-feminist, racist and imperialistic politics pervasive in all forms and spaces of private and public lives of individuals globally. Via the Internet, “The Feminist Wire” (TFW) publishes emerging perspectives from feminists as young as 10 years old to writings by internationally known authors, such as bell hooks, Angela Davis and Roxanne Gay. “The Feminist Wire” also seeks to create accessible feminisms equally invested in the eradication of sexism, racism, queer-phobia, ableism, classism and imperialism. At the March 29 event, TFW co-founder Lomax, joined by editors Moore and Talley, will examine the transformative potential and limits of online activism and the impact of digital communities on vibrant movements such as Black Lives Matter and organizers of protests related to campus sexual violence. This event, which is free and open to the public, is sponsored by the Chancellor’s Diversity Challenge Fund, the College of Liberal Arts & Sciences, the Women’s and Gender Studies program, the Multicultural Resource Center, the Counseling Center, the Gender Excellence Learning Community and TownePlace Marriott Suites. Moore, a TFW managing editor, served as a visiting fellow at Yale Divinity School and a visiting scholar at the Center for the Study of Gender and Sexuality at New York University. He is a board member of the Center for Lesbian and Gay Studies at CUNY and the Tobago Center for Study and Practice of Indigenous Spirituality. A graduate of Seton Hall University, Moore completed a master’s degree in community and clinical counseling from Eastern University and master’s degree in theological studies from the Princeton Theological Seminary. His social and political commentary, interviews and poetry have appeared in various media outlets including Huffington Post, Ebony.com and Lambda Literary. Talley, a TFW associate editor, writes on topics as diverse as philanthropy, disability and romance; her work has been published in a range of edited volumes and academic journals. She earned a Ph.D. in sociology and a graduate certificate in gender and sexuality studies from Vanderbilt University. Her book “Saving Face: Disfigurement and the Politics of Appearance” explores a wide-range of surgical interventions — from reconstructive surgery on cleft lips to face transplantation, from facial feminization to makeover surgery television and explores the consequences of refiguring aesthetic intervention in vital terms. Prior to their talk, at 5 p.m., March 29, “The Feminist Wire” editors will lead a student workshop “Writing Feminist Futures, From Idea to Submission” in the Cone University Center, Room 210. UNC Charlotte students who are interested in participating in this workshop should register in advance via email to Kelly Finley (kafinley@uncc.edu), senior lecturer and undergraduate advisor, Women’s and Gender Studies program.